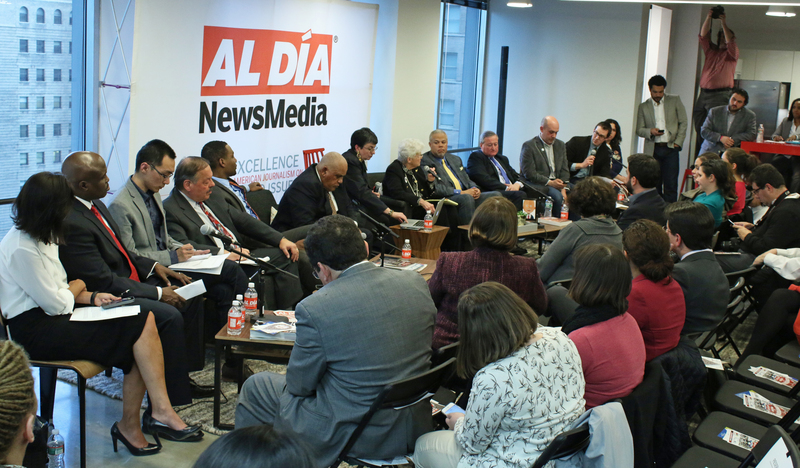 The six candidates for the Democratic nomination for mayor of Philadelphia participated in a panel hosted Monday by AL DÍA News Monday News and answered a variety of questions on topics as diverse as the group of journalists who were part of the conversation. 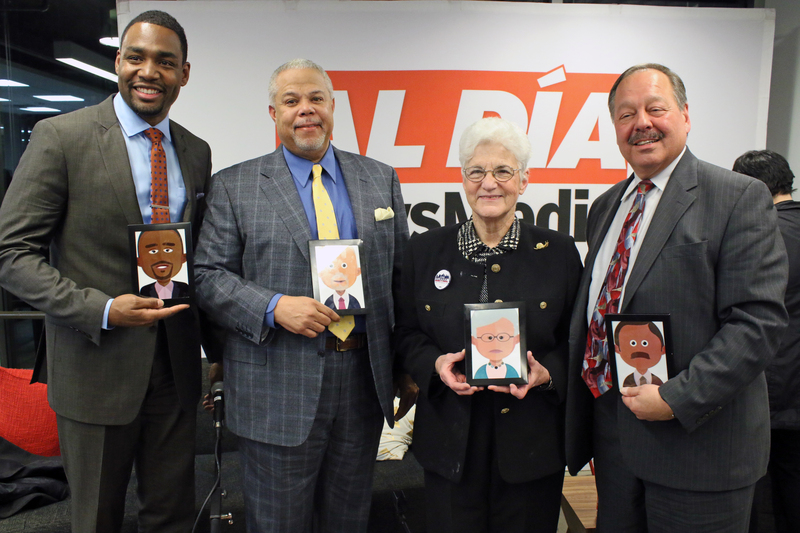 The six Democratic candidates for mayor of Philadelphia participated in a panel hosted Monday by AL DÍA News, and answered a variety of questions on topics as diverse as the group of journalists who were part of the conversation. More than 100 people attended the event organized in partnership with the Knight Foundation and 900-AM WURD at Pipeline in Center City. Among the most memorable quotes of the night, Doug Oliver said that “Black men do have reason to be fearful of police” but police also has a reason to fear Black men. 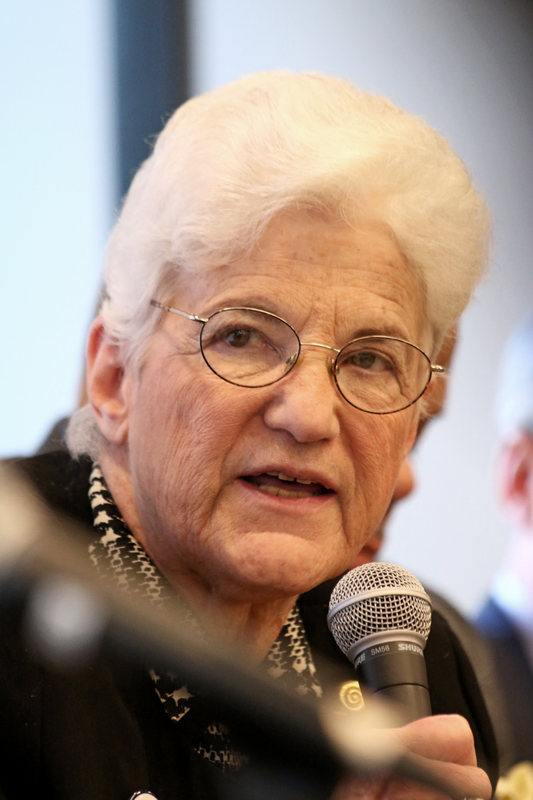 Lynne Abraham described city cabs as dark, crummy and cramped. But the most memorable quote of the night was from Milton Street when asked to respond to a column in which a Philly.com writer called him "a serial liar." "I whipped him good,” Street said of the "scrapyard lawyer" involved in the challenge filed against his candidacy. 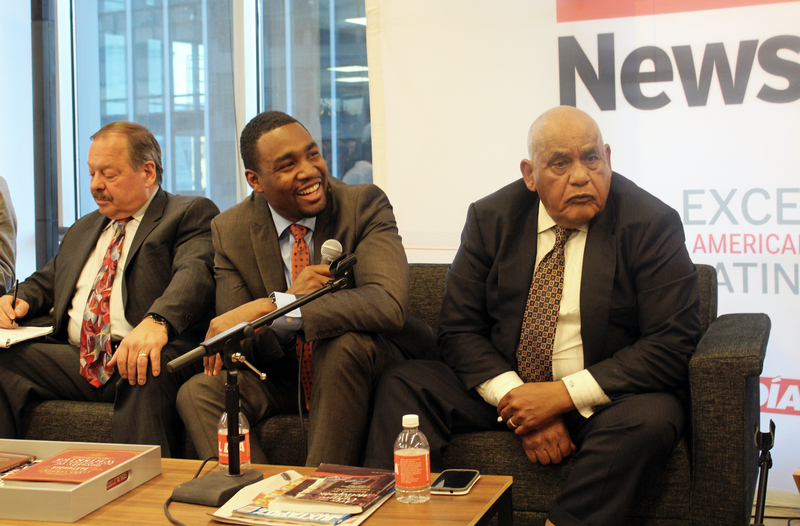 Helen Ubiñas, columnist with the Daily News, asked the candidates questions about the relationship between the local police and the Latino and African-American community. Oliver said that “Black men do have reason to be fearful of police” but police also has a reason to fear Black men. 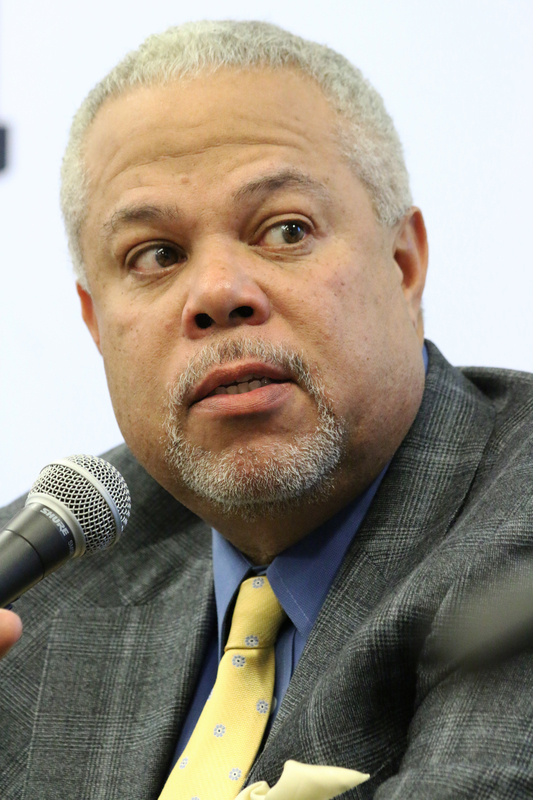 Williams supported President Obama’s initiative for police officers to wear body cameras, and installing surveillance cameras in hot spots across Philadelphia, as well as training officers in culturally diverse issues. 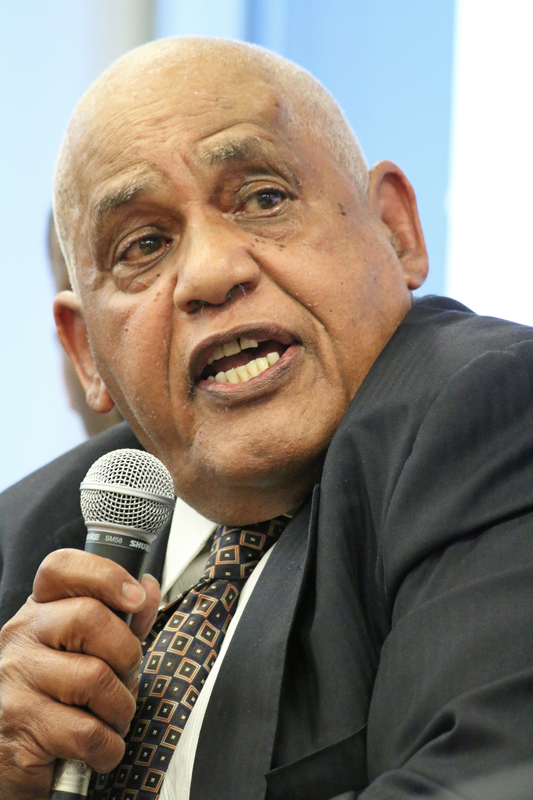 Abraham, who served as district attorney of Philadelphia from 1991 to 2010, advocated to energize and fund the Police Advisory Commission to promote transparency in the local police. “We should give as much transparency as possible without endangering anybody’s rights and the right to a fair trial if somebody is accused of anything related a police shooting,” Abraham said. Street said in order to move the conversation towards noticeable change there needs to be an equal distribution of goods and services across the city. Solomon Jones from radio station WURD centered his questions around gentrification. 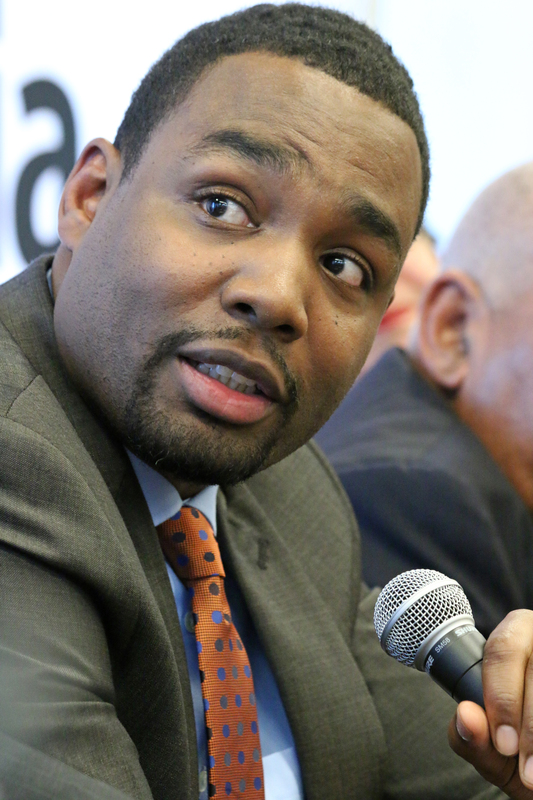 Williams expressed his support for the Longtime Owner Occupants Program (LOOP), the Philadelphia Housing Trust Fund, the Land Bank, and using the equity of properties for which the value has increased to promote further development. Street, on the other hand, expressed his opposition to the Land Bank, and questioned its purpose. In order to ensure that affordable housing projects are actually affordable, Oliver proposed to follow up on government tax credits for developers. “We have to make sure that when they say ‘affordable,’ we define ‘affordable’ instead of leaving it up to interpretation,” Oliver said. About the sale of School District properties, which some fear may contribute to gentrification, Diaz said those properties could have been better utilized by being transferred to the Public Housing Authority. “It is an atrocity that they have basically ‘fire-saled' these properties,” said Diaz, adding that some people have bought properties for “pennies on the dime” because they have the right relationship with the SRC. 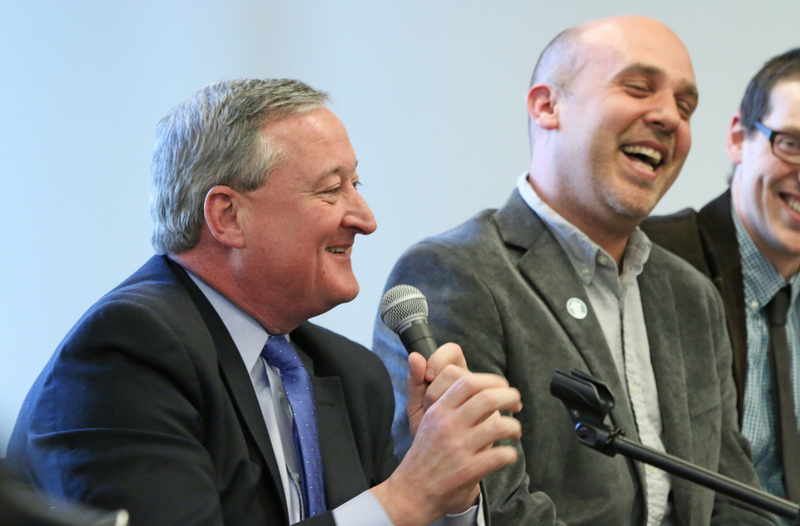 When Kenney, who is endorsed by the Electrical Workers Local Union, was asked how to fight gentrification when one of his supporters makes money in construction, he said gentrification is not necessarily an issue of labor but rather of control of properties in a neighborhood. He added that if a single developer can acquire enough property in a neighborhood they can keep the affordability while improving the neighborhood. 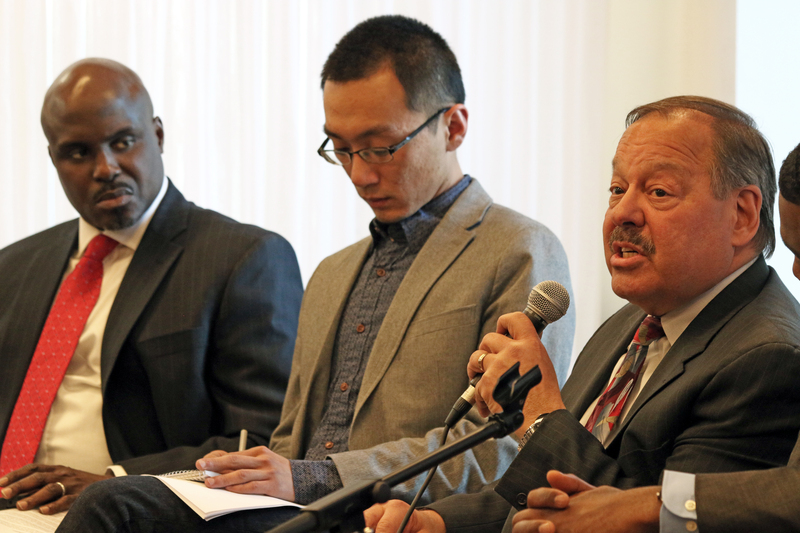 Steve Bo-Le Yuan, from Metro Chinese Weekly, asked the candidates about their approach to improve the standing of Philadelphia as a global city. Abraham, widely traveled, said the city of brotherly love is ready to become the main destination in the region, compared to Washington D.C. and New York City, and to take center stage in the global economy. She called Washington the seat of power, said New York City has its Broadway shows, but praised Philadelphia as the cultural and historical center of the country. She proposed having a commerce director who focuses on selling the city based in its diversity, cultural sensibility, language capability and technology. 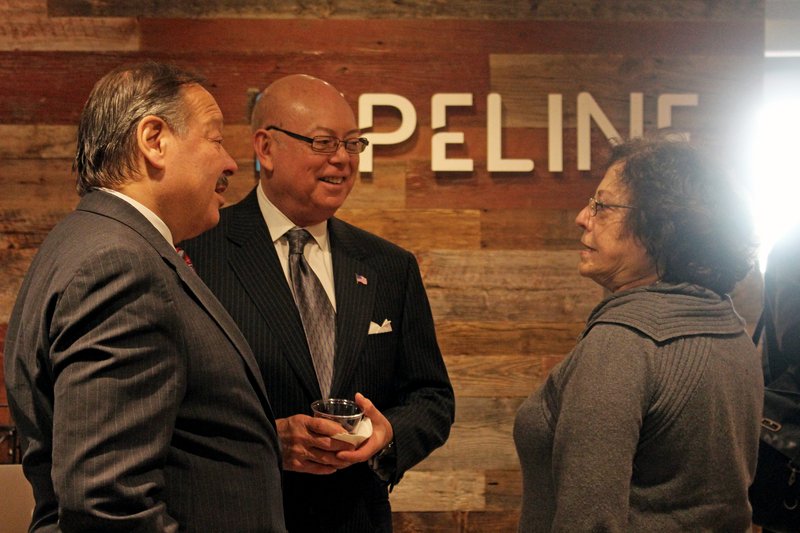 Williams focused on the natural gas industry and ports to pitch Philadelphia to international investors. However, he said the city is not particularly business friendly and proposed streamlining the operations of the local departments that deal with commerce. In order to improve Philadelphia’s food and restaurant businesses, Oliver proposed to look beyond Center City and to incentivize neighborhood restaurants so they can benefit more from tourism. Diaz supported opening a direct flight between Philadelphia and Beijing, as a more direct connection with the booming Chinese economy, and talked about the necessity of reforming the tax structure to bring business to the city. “The biggest detriment to that is the wage tax,” Diaz said. Chris Krewson, from Billy Penn, addressed issues related to millennials, including social media, ride-sharing, bike transit, and making the city more navigable. 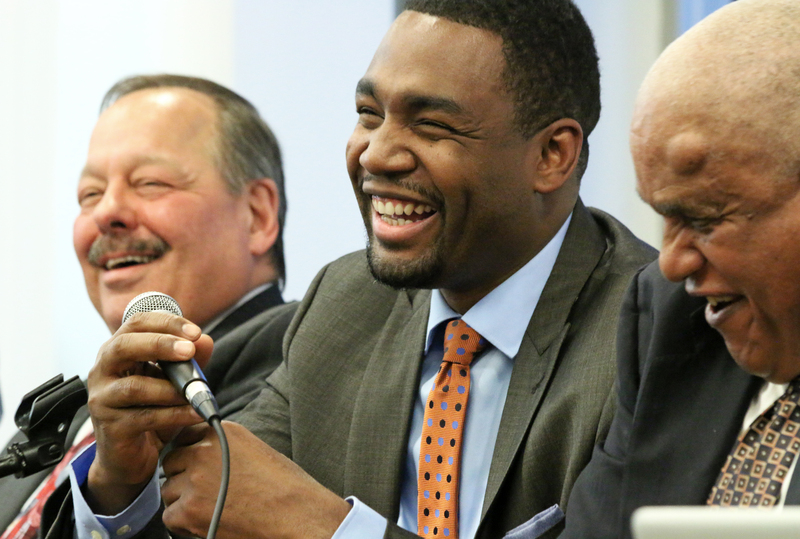 “The average age in my campaign is 27 years old — Black, White, Latino, Asian, gay, straight,” said Williams, who mentioned education, safety, job and business opportunities as some of the ways to bring millennials to the city. 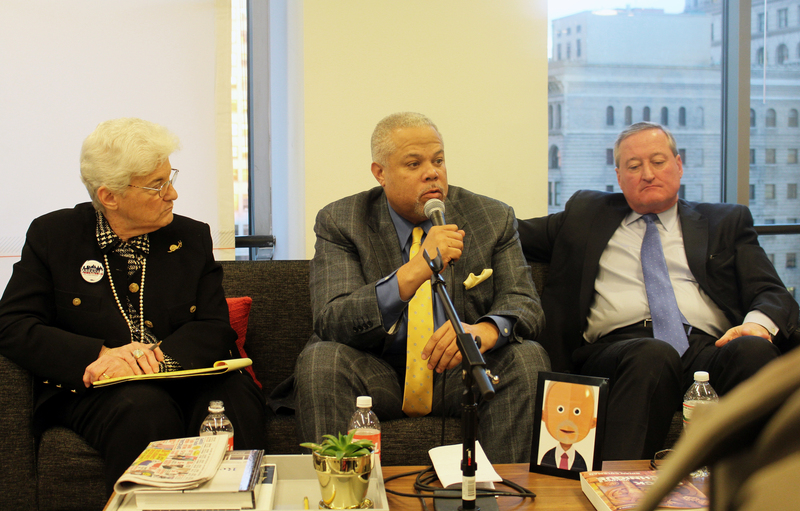 When asked about how to expand on his initiative to make Philadelphia a 24-hour city, Oliver said he would hold conversations with the City Council president, SEPTA, the police department, and other services that need to be in place. Shai Ben-Yaacov, from WHYY, centered his questions to the candidates around education. Diaz, a strong advocate of abolishing the SRC, said he was confident about getting the five votes needed to do so, even though the mayor only has two appointments in the board. “I’m sure we would be able to abolish it because 80 percent of the citizens of this city want it abolished,” Diaz said. Oliver talked about changing management of underperforming schools. Williams said there is an appropriate and fair skepticism with charter schools when it comes to accountability, for which there needs to be legislation in place. She instead favored the governor’s proposal to increase income taxes and lower property taxes, and strengthen efforts to collect uncollected property taxes, water and gas bills. Kenney expanded on his plan to seek outside investment to fund pre-K, which he estimates would cost $60 million over a three-year period. 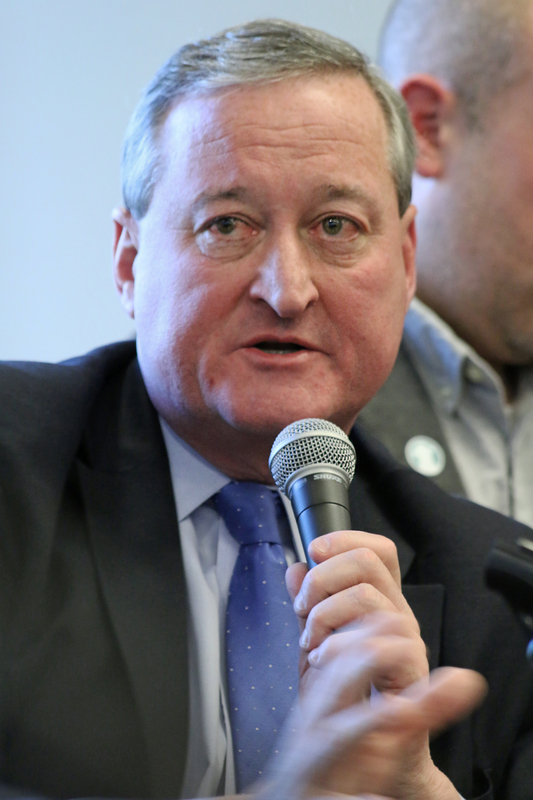 “I’m going to find the money to pay for two-thirds of it, and one-third of it I want it paid for through philanthropic foundations, large non-profits and corporations,” Kenney said. Street addressed violence in school and proposed having a community surveillance team, by hiring people in the community where they live, and which is connected with the police department to serve as a prevention and quick response team. “The only people that can stop the violence in a community and in schools are the people who live there,” Street said. Ana Gamboa from AL DÍA News focused in issues related to immigration policy. The elimination of ICE holds was signed by Mayor Nutter in 2014. Abraham affirmed she would maintain and further fund the Office of Immigrants and Multicultural Affairs (MOIMA) created by Nutter. “You cannot have a multicultural city with people from all over the world if you have an organization that has no funding,” said Abraham, who added she would consult with the multicultural community to figure out which services are needed. 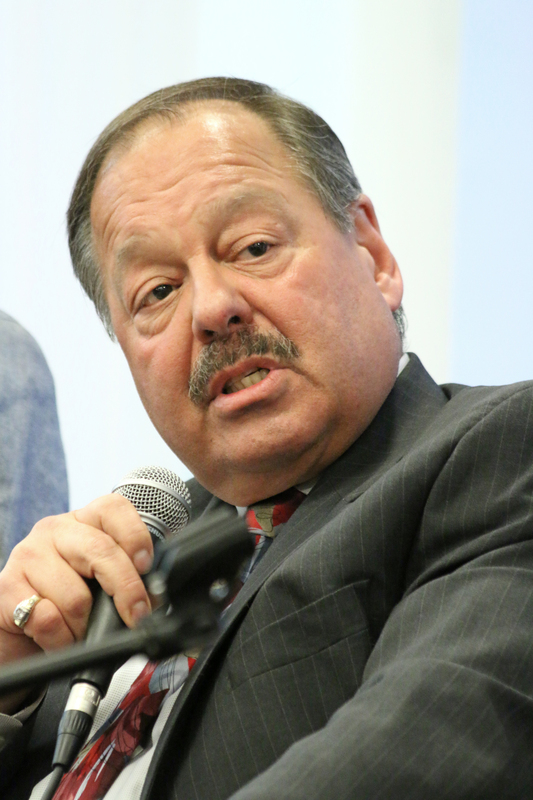 Williams favored giving municipal driver’s licenses to undocumented immigrants by passing a local ordinance. “It makes no sense that someone who is an undocumented person, has a car, pays the registration fees, drives around, goes to work, pays their taxes, has a business, and then we decide that we take that away from them,” Williams said. Oliver supported providing health care to undocumented immigrants. “Who has access to health services has nothing to do with where you come from or what predicaments you’re in,” said Oliver, who added he would do outreach across the city to inform the community of services available at the local level, and push for legislation at the state and federal level for all people to have access to healthcare. 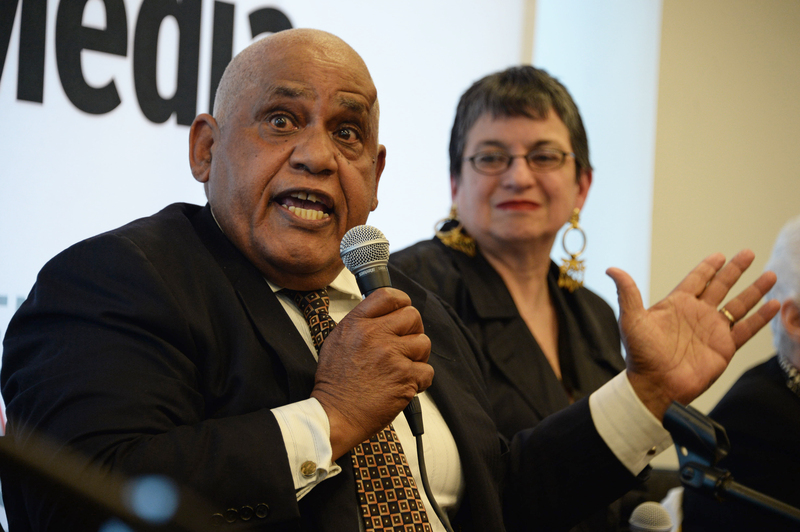 When asked whether immigrants who have been longtime residents of the city but are not permanent residents or citizens should be able to vote in local elections, Street responded “without question."